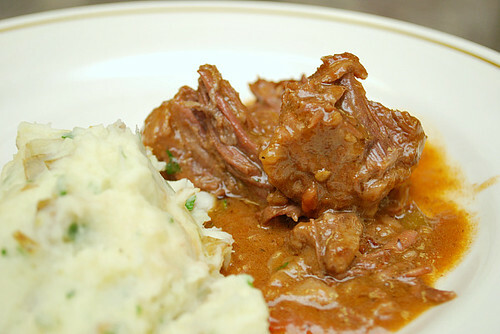 This recipe is good and resulted in a very succulent beef dish. 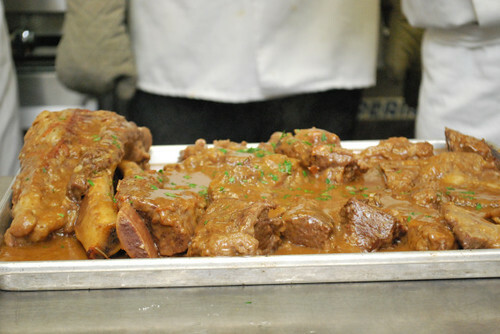 Braising meat like short ribs is definitely something to do on those lazy weekends in the fall and winter. 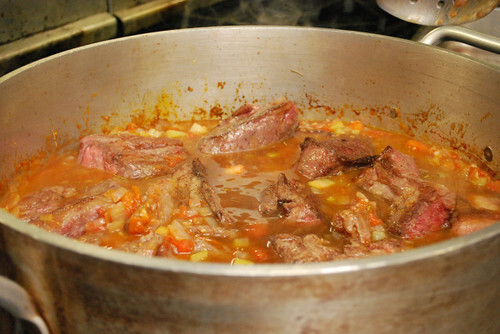 It will warm your kitchen and belly with savory aromas and flavors, making it worthwhile to cook for hours. 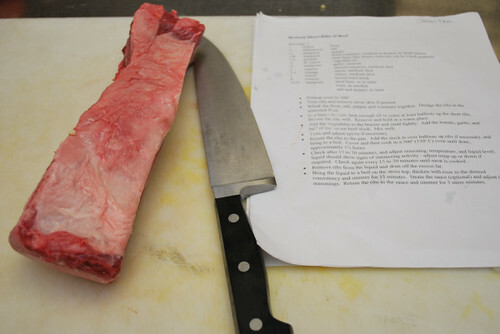 To start off, we had to de-bone the short ribs before cooking. It's just an easy cut right up against the bone to remove. 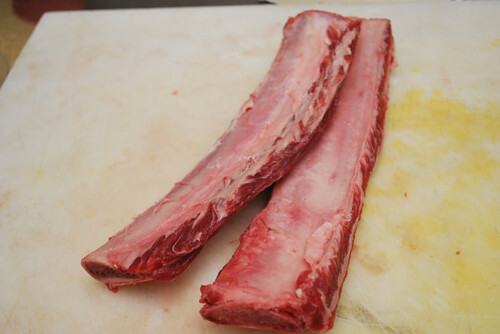 (These giant ribs had the silver skin removed prior to us de-boning). 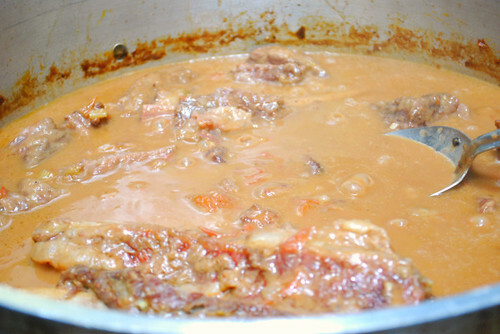 With the bones removed, we saved them to make beef stock. 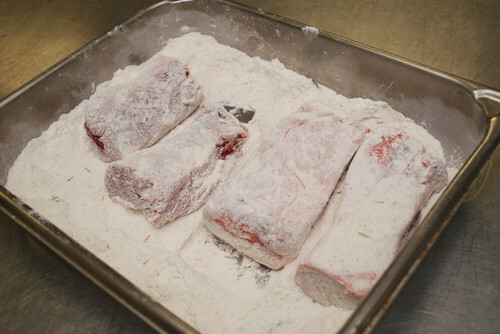 Combine the flour, salt, pepper and rosemary. 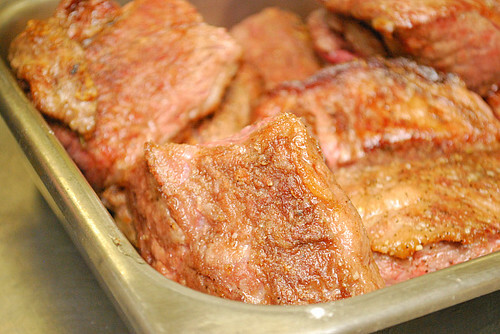 Dredge the ribs in the seasoned flour. 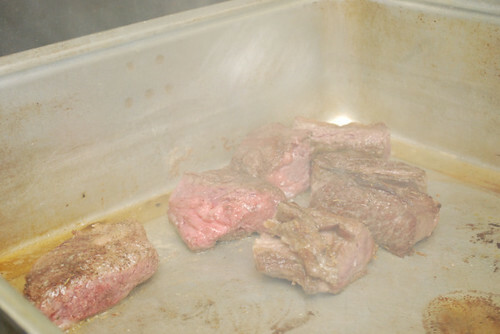 Heat the oil in a heavy braiser and brown the ribs well. 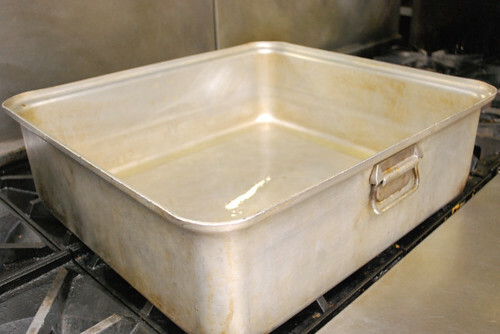 Remove and hold in a warm place (oven). 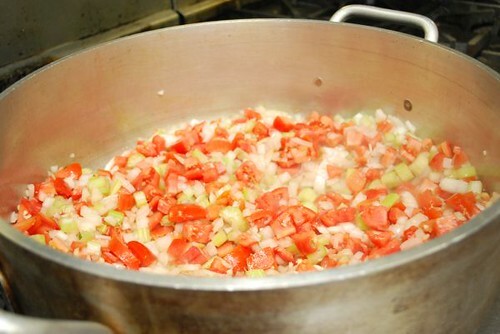 Add the onion, celery and tomatoes to the braiser and sauté lightly. 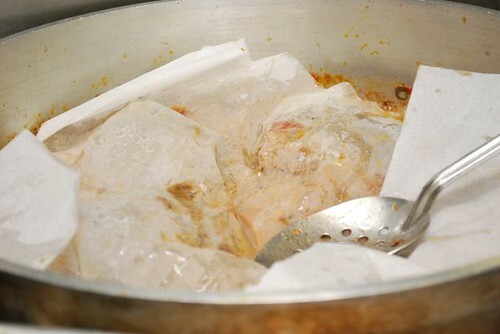 Cook on the stovetop over medium low heat, covered with parchment for 3 hours or until tender. 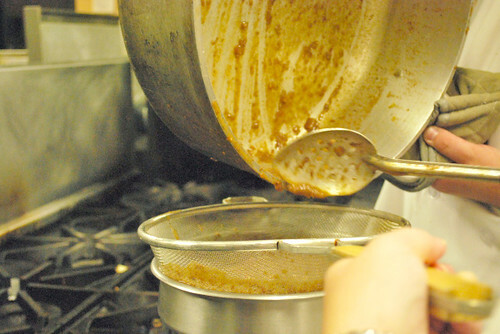 Check on the ribs and remove from the pot. 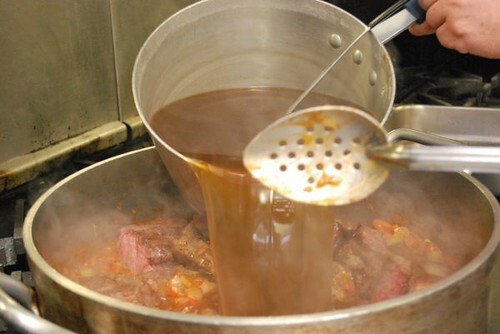 Bring the remaining liquid to a boil on the stovetop; thicken with roux to a desired consistency and simmer for 15 minutes. 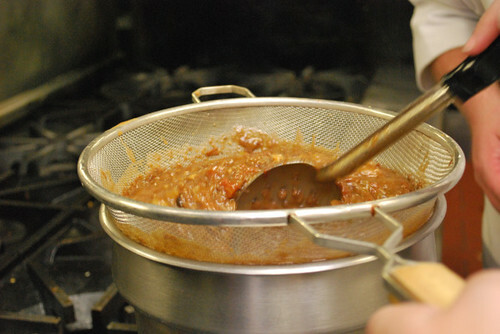 Strain the sauce and adjust the seasonings. 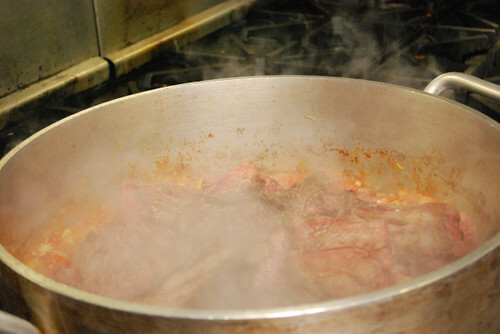 Plate the ribs and pour the sauce over them; garnish with freshly chopped parsley if desired. 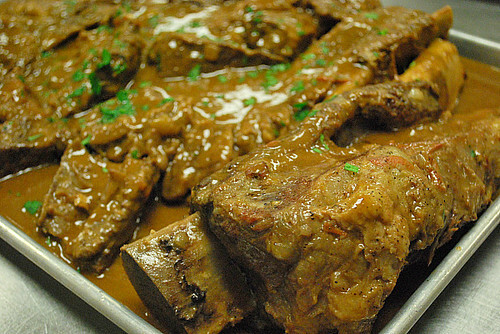 Serve the ribs with mashed potatoes and the sauce on the side.